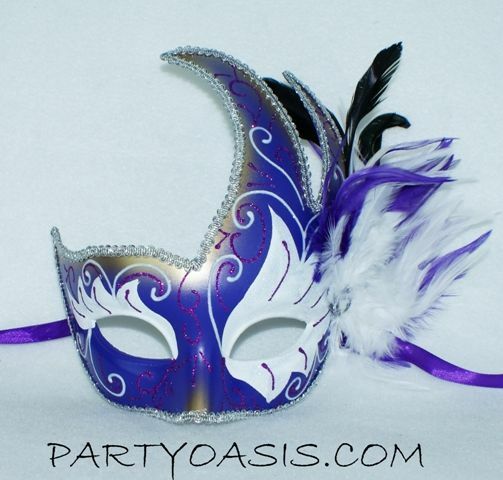 This Luna "Half Moon" mask is made out of our signature hand molded plastic. Durable yet lightweight for easy wear. Handpainted design with a side of assorted plume of feathers.